Sailing is a hobby of ISM’s founder and president, Barton Goldenberg. It also reflects his philosophy: Set the course – to provide a successful customer experience – and be ready to take advantage of change to meet the challenges of the new digital consumer. Click Here To View Barton Goldenberg’s Speaker Website and Speaker Videos. Barton founded a pioneering firm, ISM, in 1985, when the concept of Customer Relationship Management (CRM) was taking form. 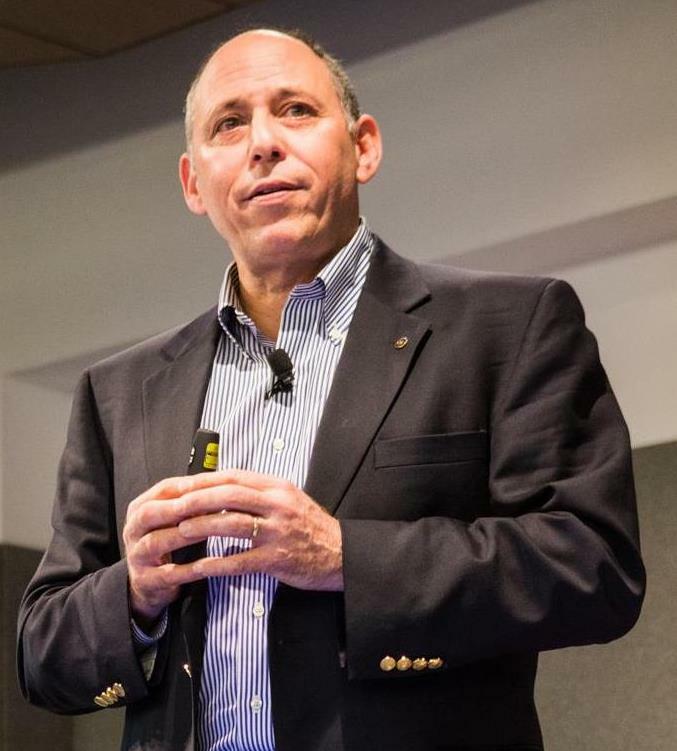 As an entrepreneur, futurist, author, and accomplished speaker, he brings real-world experience with clients including Giorgio Armani, ExxonMobil, Jaguar Land Rover, Johnson Controls, Kraft Foods, Marriott,T. Rowe Price, and Zumba Fitness to his signature “top-down/bottom-up” approach of integrating people, process and technology. His methodologies – that ensure the success of customer-centric initiatives – are widely recognized as the industry standard. In 2003, Barton was honored for his contributions as one of the first three inductees into the CRM Hall of Fame. 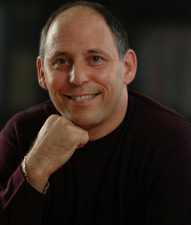 Goldenberg and his management team provide strategic services to best-in-class organizations planning and implementing CRM/Social CRM, Big Data Analytics & Insight, Knowledge Communities, Customer Experience and Channel Optimization. As a customer-driven advocate, Barton saw that the Internet and mobile/wireless technologies could serve customers in Real Time, a concept Barton developed and promoted beginning in 2000. Whether business-to-business or business-to-consumer, customer expectations must be met in Real Time, which Barton addressed in his book: CRM in Real Time (InfoToday). His earlier book, CRM Automation, (Prentice Hall) is considered the primer for companies implementing customer-focused programs. 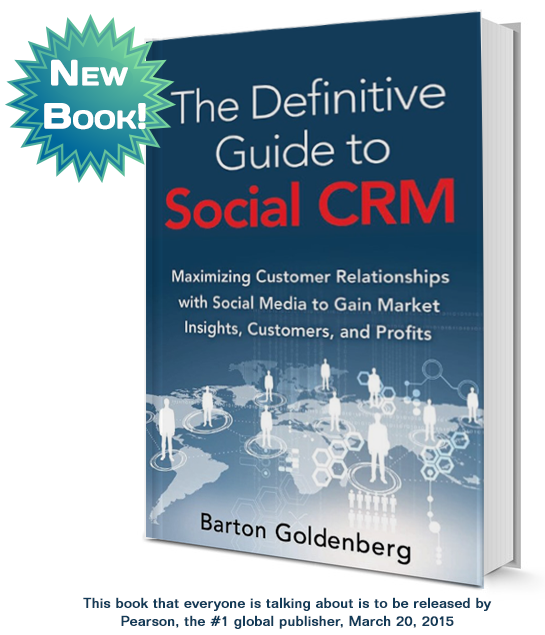 His new book – The Definitive Guide to Social CRM – will be published March 20th by Pearson, the #1 global publisher. Barton will address the important topic of integrating ‘social insight’ into CRM initiatives as part of his speaker engagements to conference and business audiences ranging from Gartner to Fortune 500 companies. -Bob Fernekees, VP/Group Publisher CRM Media, a division of Information Today, Inc. Prior to founding ISM, Barton held senior management positions at the U.S. Department of State and Monsanto Europe S.A. He holds a B.Sc. (Economics) degree with honors from the Wharton School of Business and a M.Sc. (Economics) degree from the London School of Economics. He currently serves as Area Governor for D7620 Rotary International, and served as 2013-14 president of metroBethesda Rotary Club.